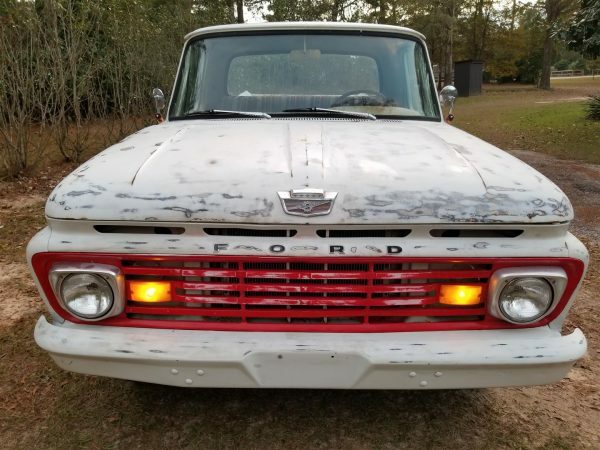 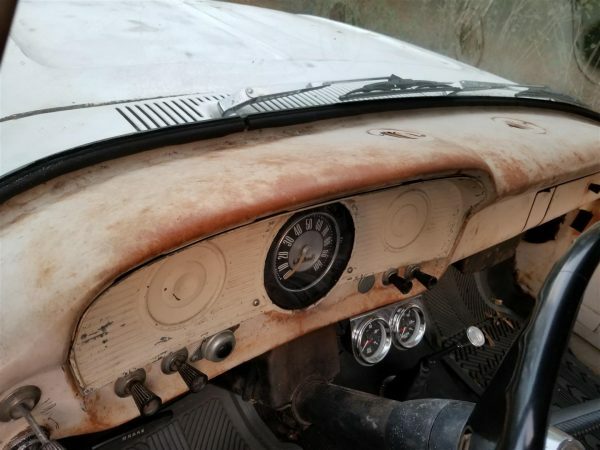 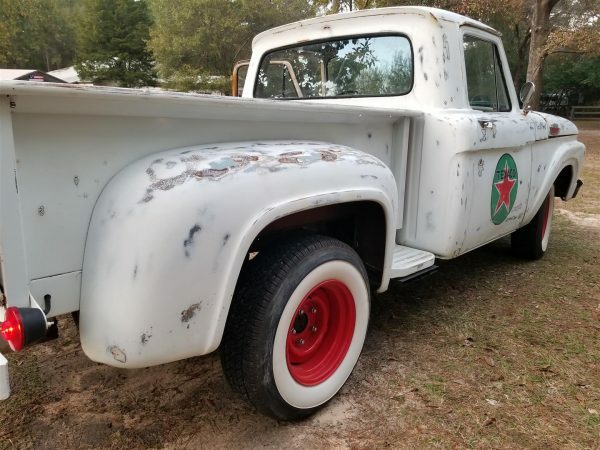 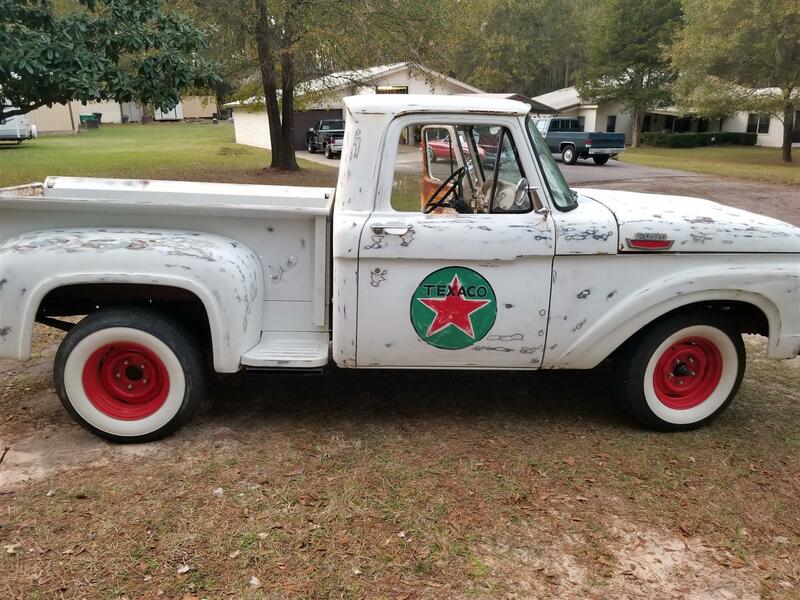 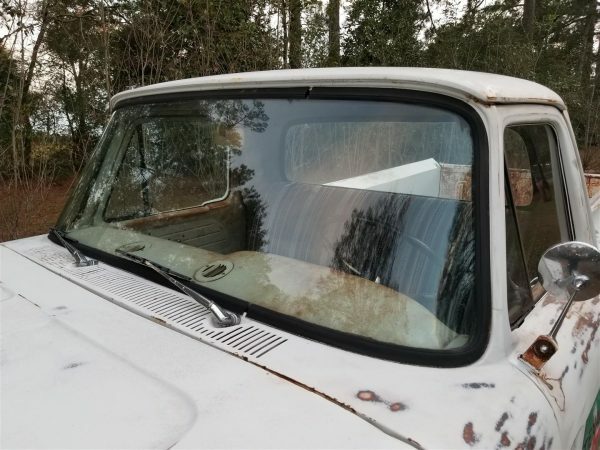 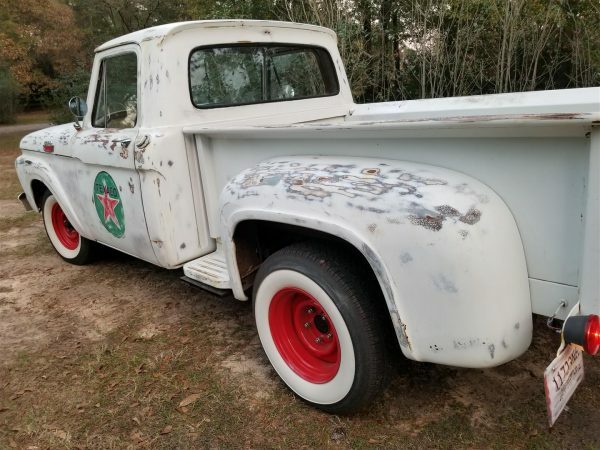 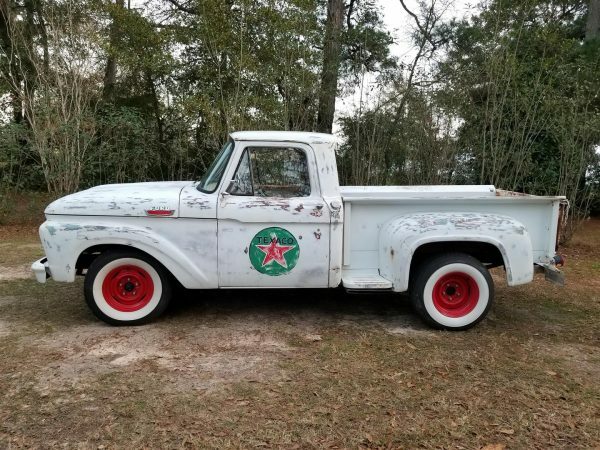 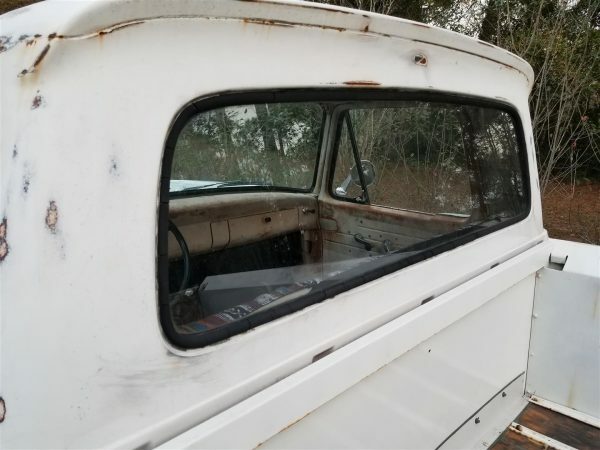 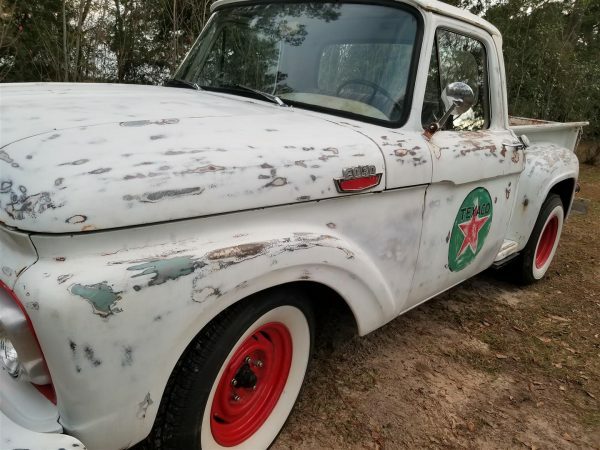 1964 Ford F-100 – 350 V8, Auto (TH350), Ford 9″ Rear End, New Aluminum Radiator, New Carb, White Walls, Great Patina! 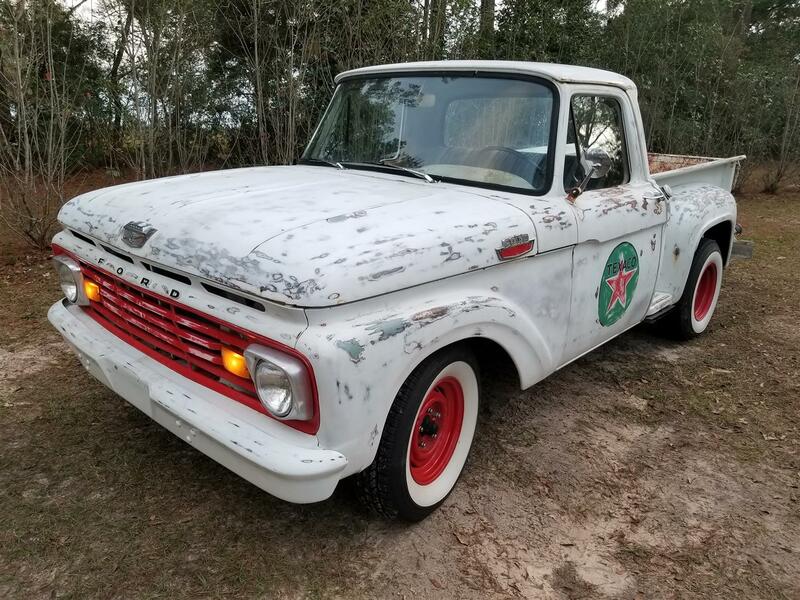 1964 Ford F-100 – Ford updated its popular F-Series pickup trucks in 1961, marking the venerable truck’s fourth discrete generation. 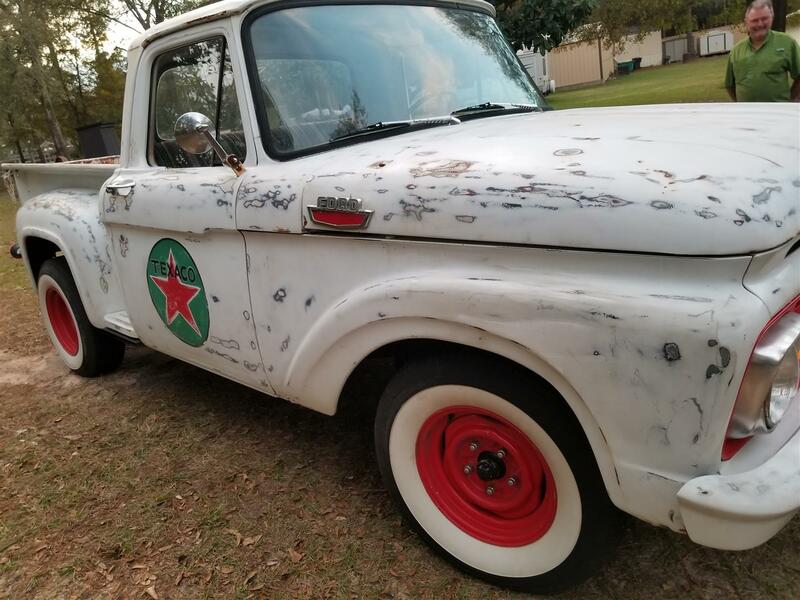 In the process, the F-100 received a revamped appearance with a stacked grille, a lower stance, and a brighter cab. 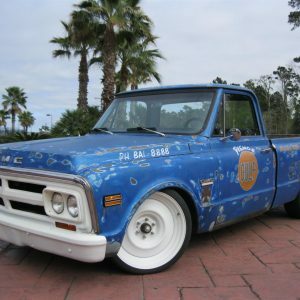 Most notable, however was an innovative integrated cab/bed design that was applied to lighter duty trucks. 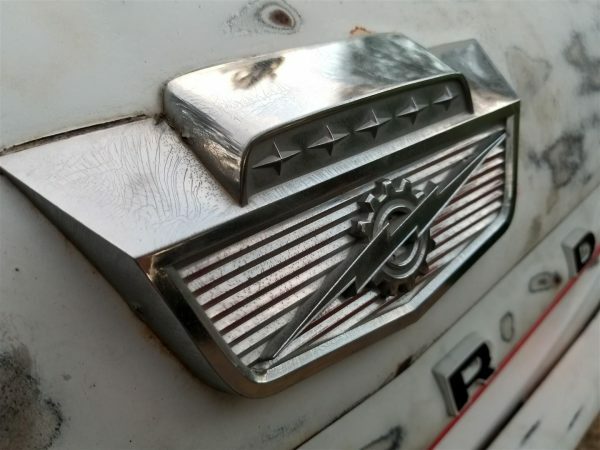 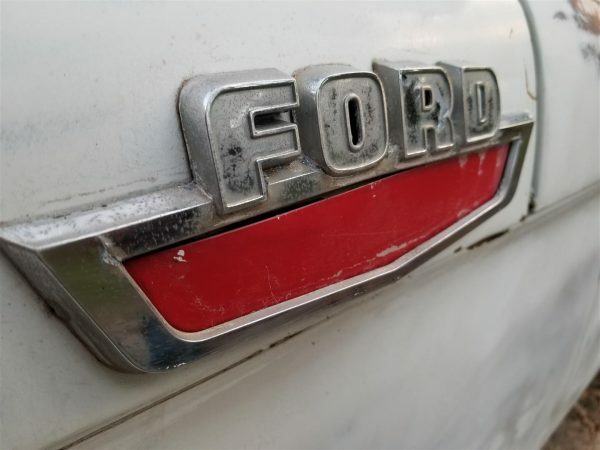 While retaining standard body-on-frame architecture, these were the first pickup trucks to have the cab and box integrated (not to be confused with car based Ranchero and El Camino). 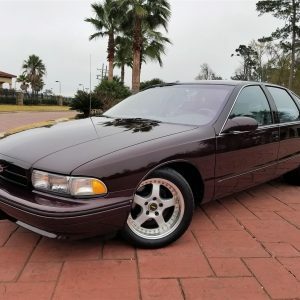 For a boulevard cruiser, this made quite the fashion statement. For a work truck, which would get loaded with cargo and driven on rough roads or off road, the flexing frame under an unyielding body would cause damage. 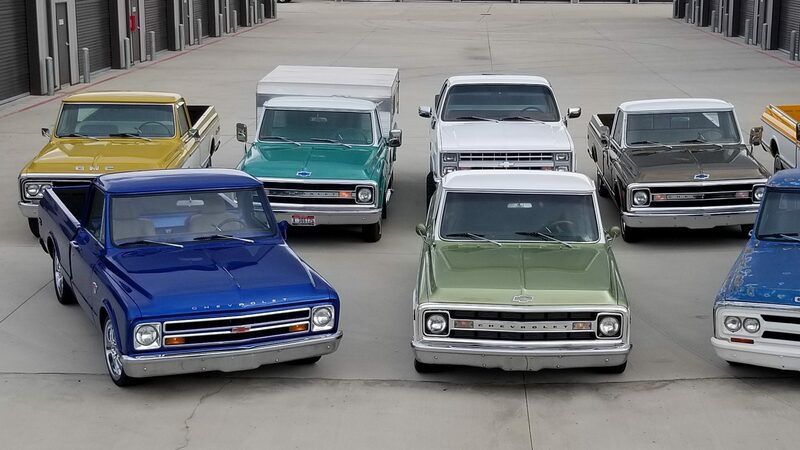 Heavier duty models from these years—and all four-wheel-drive trucks—used the previous generation’s Styleside bed box or the traditional Stepside. 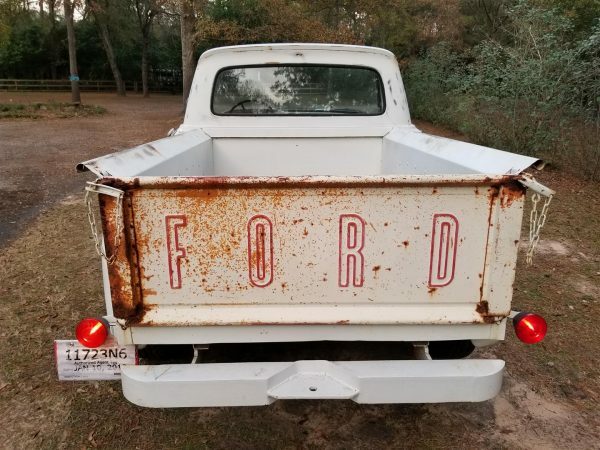 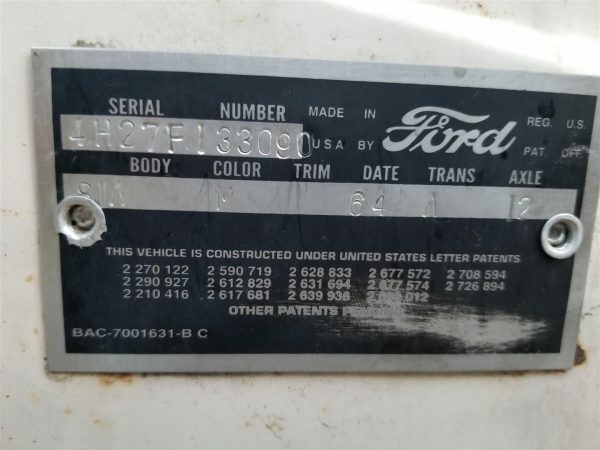 In 1964, Ford introduced a new Styleside box design specifically for that generation of F-series, continuing through 1966. 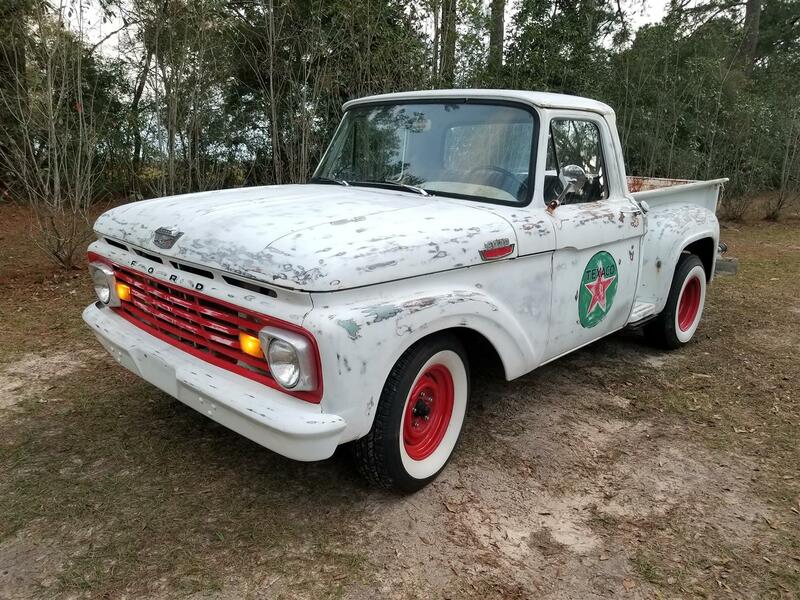 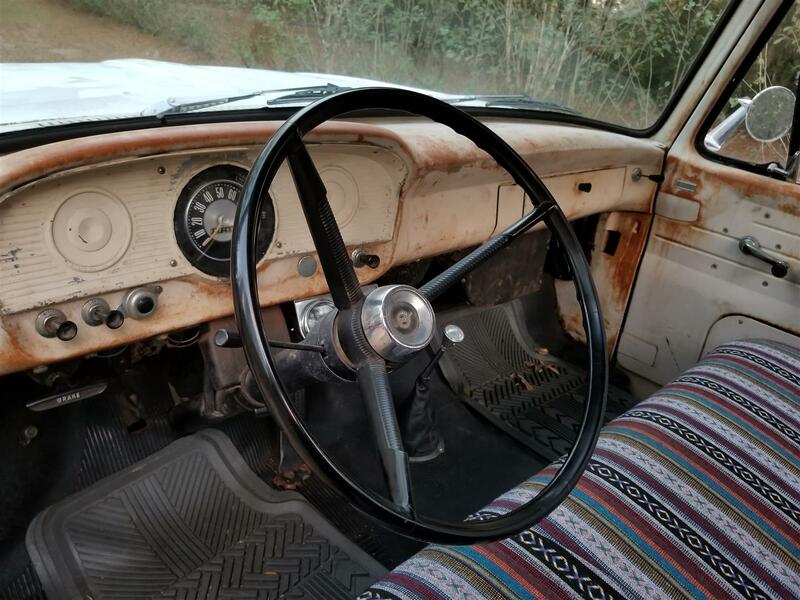 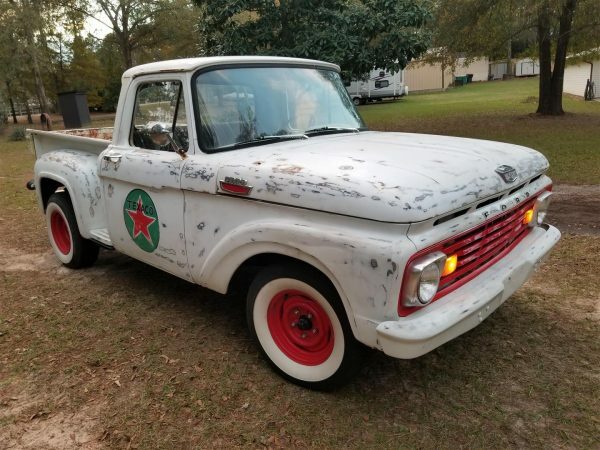 This classic F-100 is simple yet has everything you need for enjoying a weekend cruise around town. 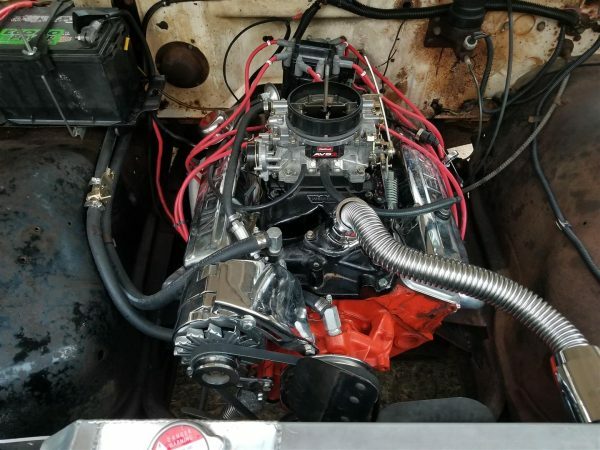 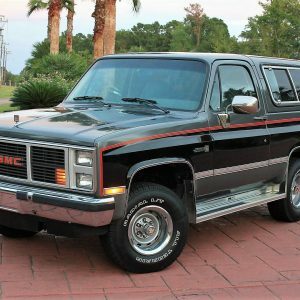 It has recently had the original motor replaced with a 350 V8 which is paired with a Turbo 350 Automatic and a Ford 9″ Rear End. To further improve the ride a new Aluminum Radiator, New Edelbrock AVS 2 650 Carb, and New Exhaust were installed. 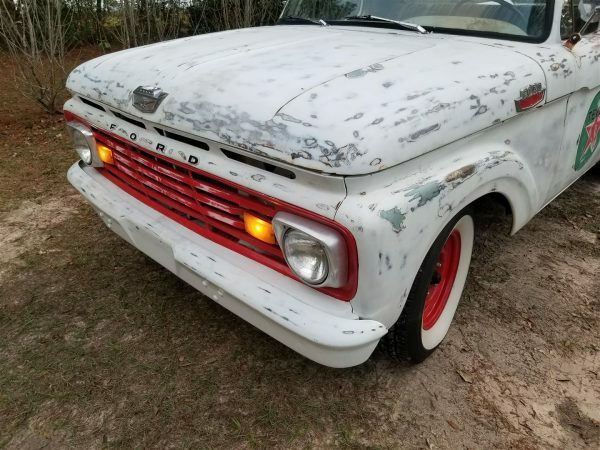 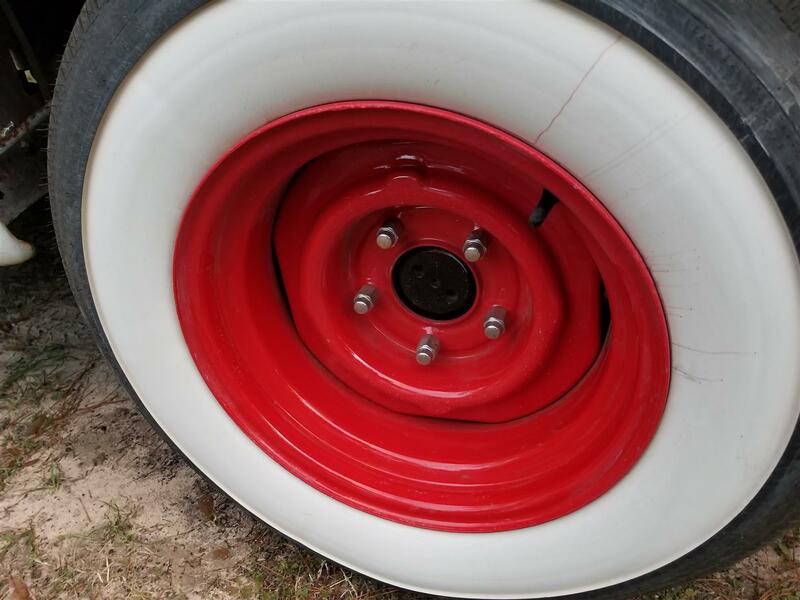 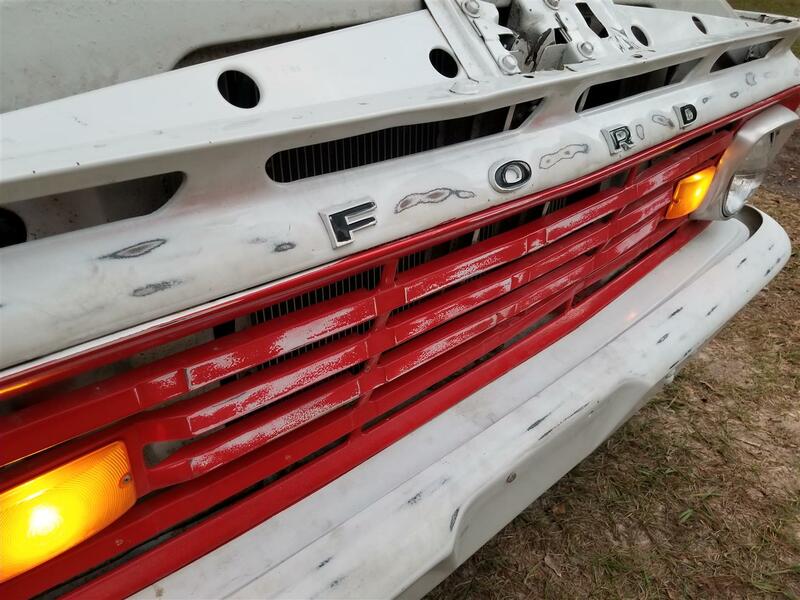 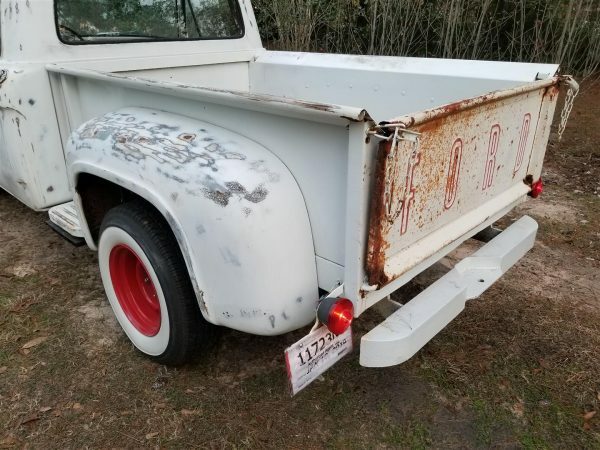 But all that aside, what caught your eye was this truck’s awesome patina, its gloss red rims, and thick white wall tires! 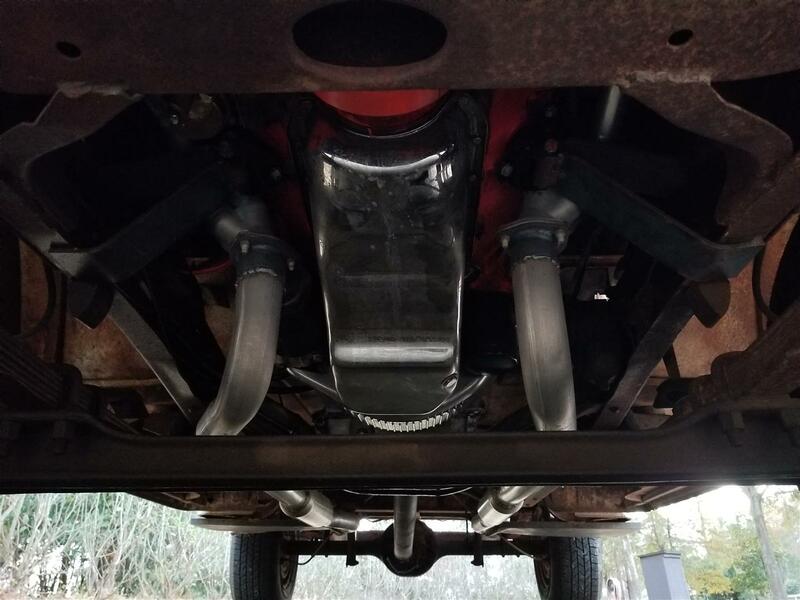 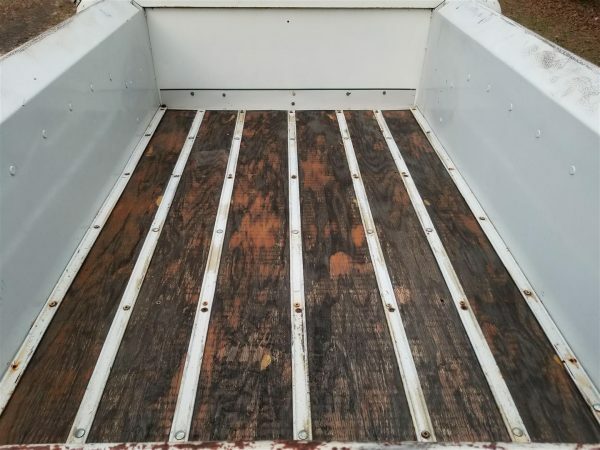 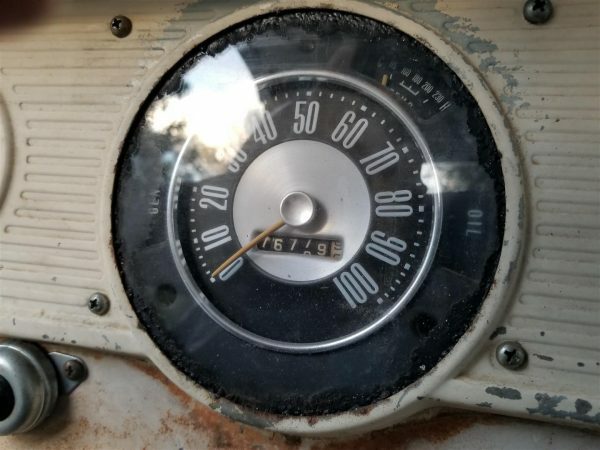 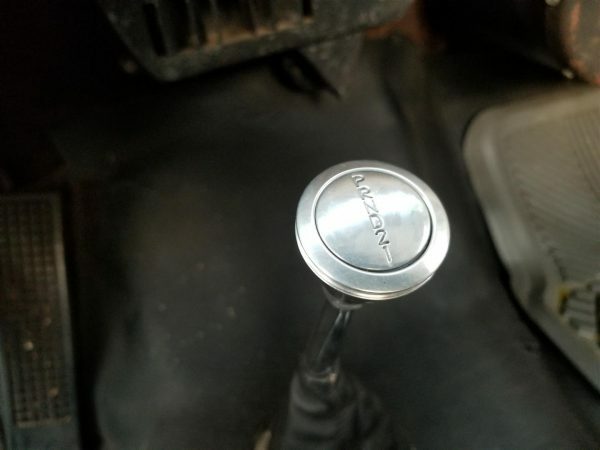 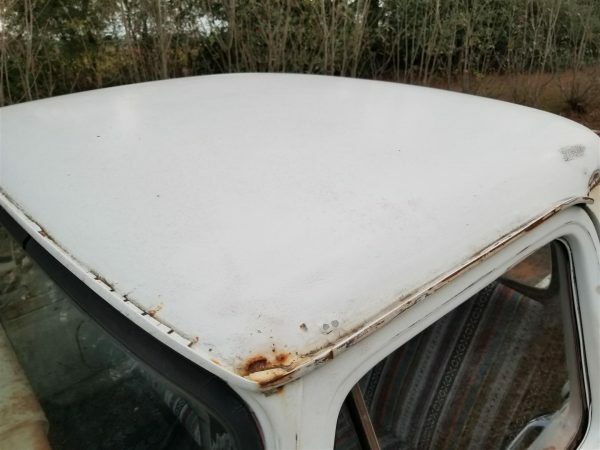 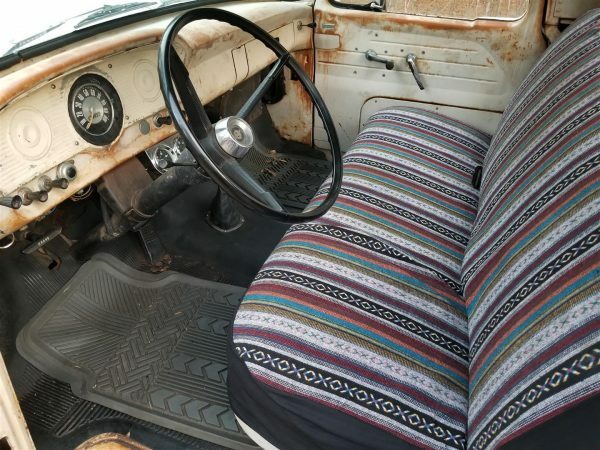 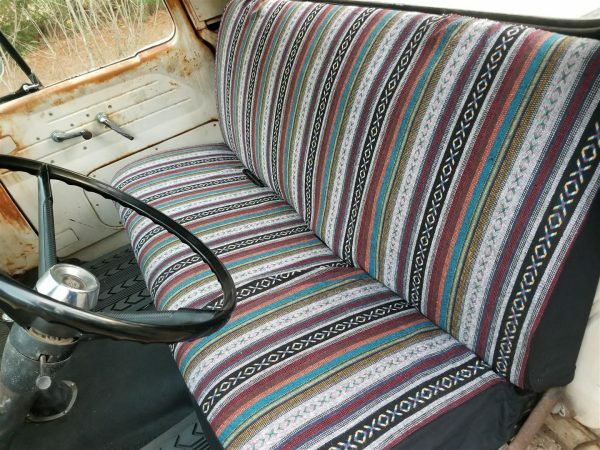 With exception of a small spot on the driver floorboard, a quarter sized spot behind the left exhaust and a small area of the lower left tailgate …. 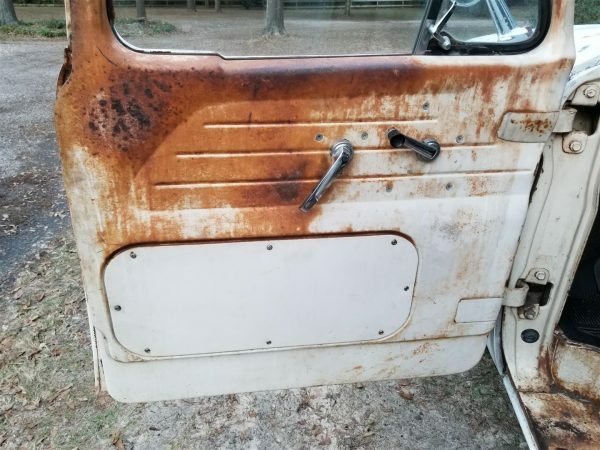 there is no rust cancer. This Ford is a real head-turner as-is but would be a great truck to set-up with air ride and some bigger wheels. Ford only $14,900, it’s hard to let a unique truck like this get away. 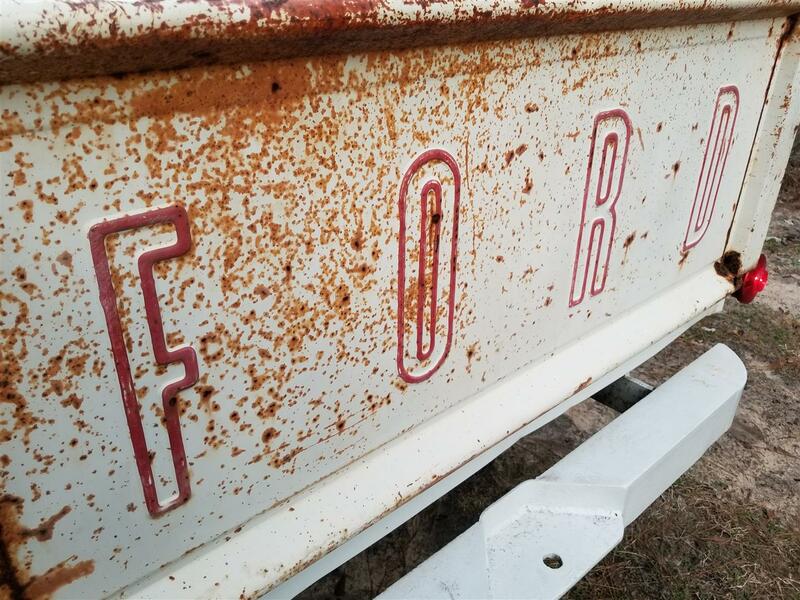 Call today to become an owner.